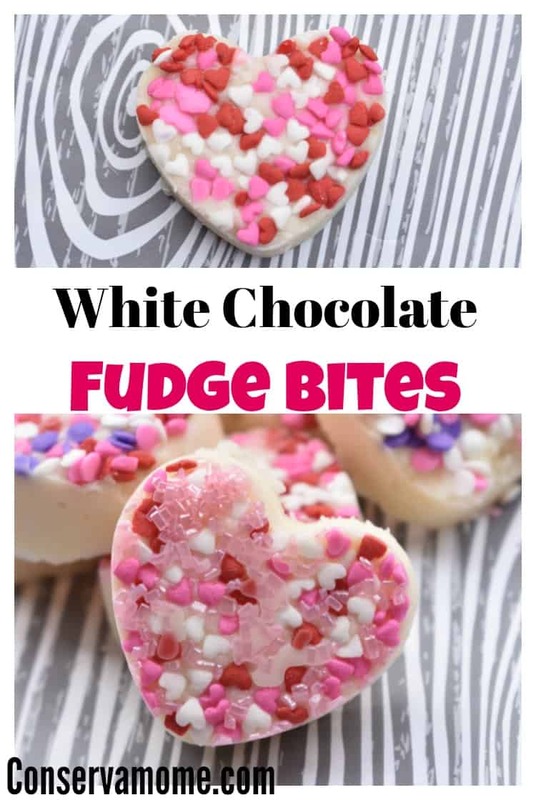 This delicious White chocolate fudge bites recipe is the perfect Valentine’s Day treat! Check out how easy it is to make. Valentine’s Day is alway one of your favorite holidays because of all the fun and creative things that can be done to celebrate it. This is also the perfect time to bring out all the delicious and decadent chocolate ideas to make the holiday divine. 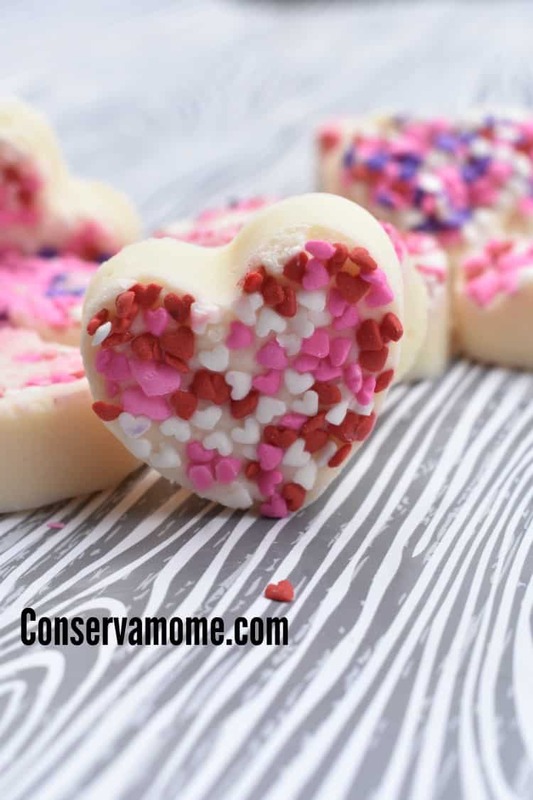 So coming up with delicious treats to ring in Valentine’s Day is a must in our home. 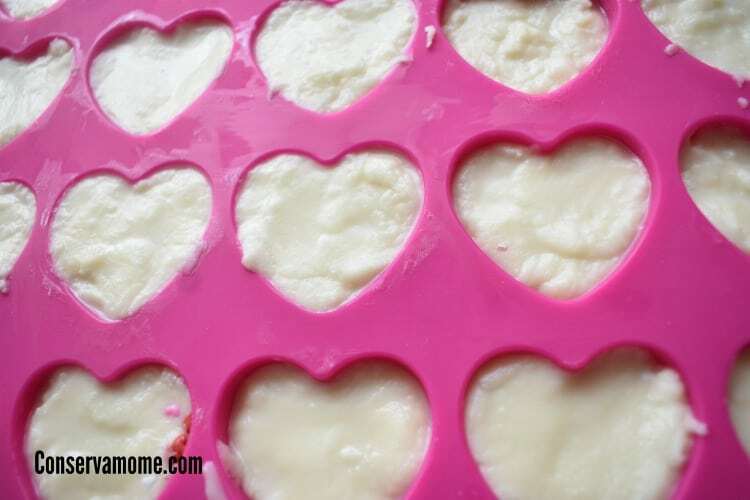 We love white chocolate in our home so making delicious and easy white chocolate fudge bites is a must! 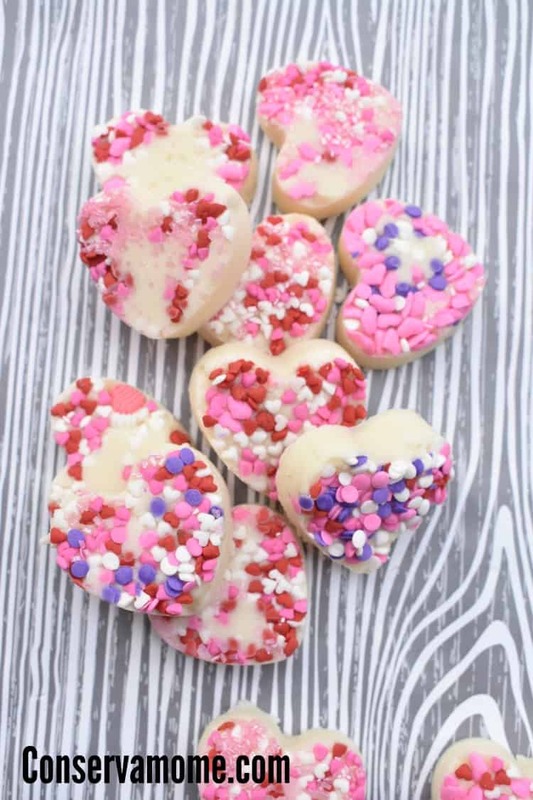 This simple to make treat is so perfect for any Valentine’s day Gathering, party or even a love themed event. The fudge is crazy easy to make and the ideas are endless as to what you can create. 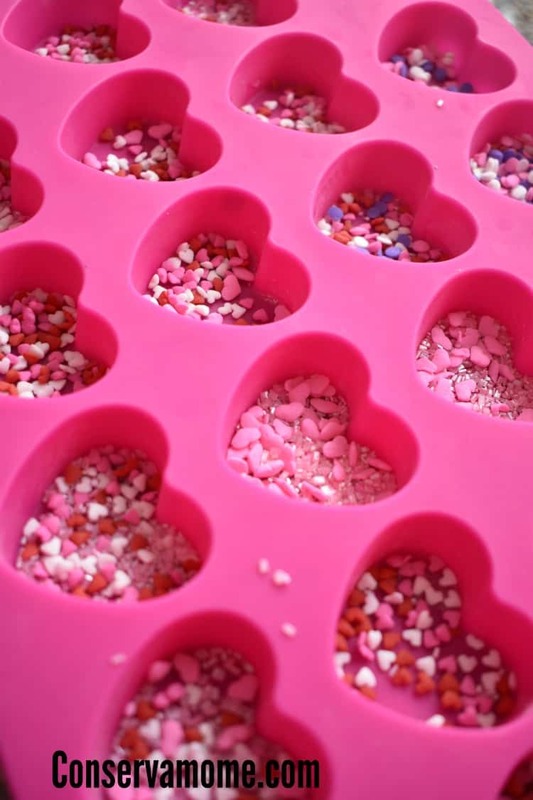 Sprinkle the heart sprinkles into the mold trying to cover the bottom of it . Try to make sure that the bottom of the mold doesn’t show. However, don’t go overboard either with a giant layer. Make sure and do this step before making the fudge. For the fudge mix the ingredients and place in the microwave for about 30 seconds. You will probably have to do it 2x’s. Mix the fudge mixture and place inside each mold over sprinkles. Try not to disturb them. Then place in refrigerator for about an hour (or until it’s hard). Then simply pop them out and you’ve got these delicious and gorgeous white chocolate fudge bites! Each one will be as unique as you want to make them. I combined different kinds of sprinkles. The sugar looks nice but it seems it does blend in with the fudge a bit so using actual sprinkles is your best bet. Not only are they absolutely adorable but they taste AMAZING! Best of all you can make a ton at a time! 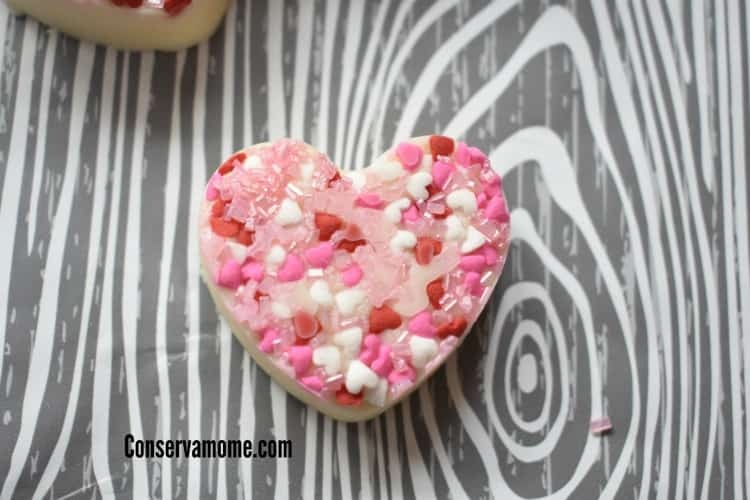 This is perfect in cellophane paper for a sweet Valentine’s day treat! Looking for another fudge treat? Check out this two layer fudge treat perfect for a sweet afternoon. Thank you for sharing your recipe . The kids would love this one. These would be so fun to make and share with my grandkids. I like how the sprinkle hearts are used. Looks like a delicious recipe! I love the simplicity of the recipe and the colors are beautiful. Now, to find a mold. Michaels, I guess?